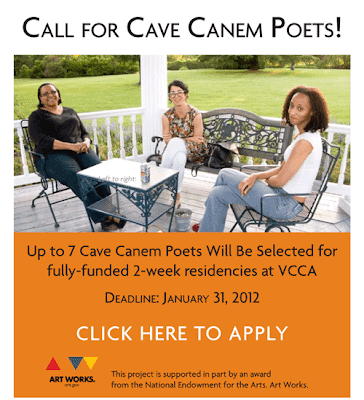 Cave Canem Poets! Today Is the Last Day to Apply for Fully-Funded Summer Residency! 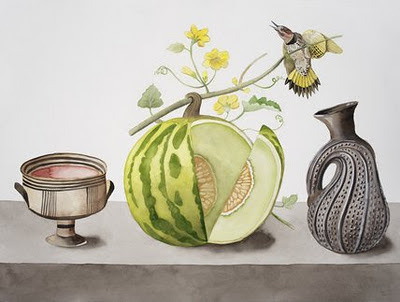 Uncontained by Sue Johnson, 2011. Gouache, watercolor and pencil on paper. 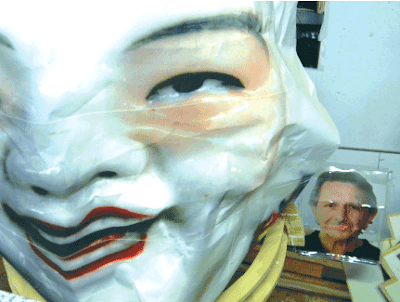 Gallery A presents Art Works, an exhibition featuring work by Myron Helfgott, sculptor and professor emeritus in the Sculpture and Extended Media Departments at Virginia Commonwealth University. Helfgott received the Virginia Commission for the Arts Distinguished Artist award. His sculptures incorporate audio, kinetics, photography and assemblage. Art Works will be on view through March 31. Clover Archer Lyle, Detail Composite: "Nothing to Be Done", 2010 Archival Pigment, Print 17x22"
Clover Archer Lyle, artist and director of Washington and Lee University's Staniar Gallery, explores how experience transforms into reality and memory. 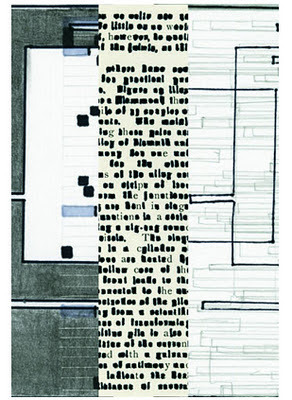 Her recent works are on display in Nothing To Be Done, agathering of works on paper, and resin castings of work on paper. Nothing To Be Done will be on view at the Page Bond Gallery in the Shockoe Design District of Richmond, Virginia, through February 25. Edythe Bates Old and Moores Opera House at the University of Houston present the first major revival of Daron Hagen's opera Amelia, with libretto by Gardner McFall and story by Stephen Wadsworth. It was first commissioned and premiered by Seattle Opera in 2010. "Haunted by her father's death when he was a pilot in the Vietnam War, a woman comes to terms with the ghosts of her past, the dream of flight, and the hope of being reborn." Read Alice McDermott In "The New Yorker"
Someone by Alice McDermott is this week's story in The New Yorker magazine. Karen Bell—who heard Alice read the story at the VCCA & Salon in New York on November 2—said it was great fun to find Someone in the magazine, "I could hear Alice's voice as I was reading." Alice McDermott is a VCCA Fellow and Advisory Council member. 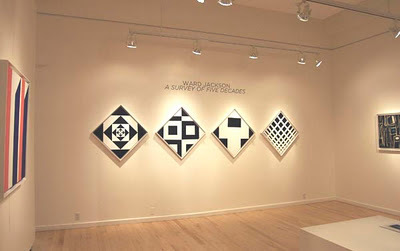 "Ward Jackson's geometric abstract paintings constitute one of the great under-known bodies of work in post-War American art." 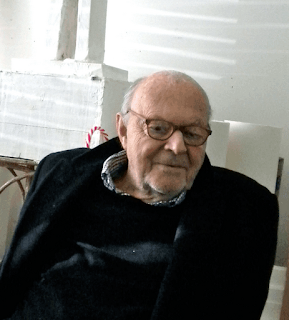 The Cy Twombly Foundation has awarded VCCA a $300,000 grant, one of the largest in its history. The grant will be used to establish a Cy Twombly Fellowship that will support residencies for artists in perpetuity. Widely acknowledged to be the most important and influencial artist of the last fifty years, Cy Twombly died in Rome on July 5, 2011. He was a VCCA Fellow and served on the VCCA Advisory Council for fifteen years. Though VCCA will lose a terrific international programs coordinator, we are happy to announce that Hollins University has appointed author and professor Carrie Brown as distinguished visiting professor of creative writing. She will join the Hollins faculty in August. 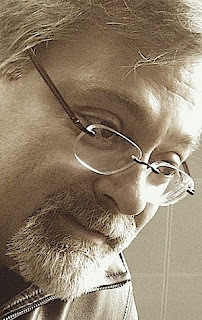 Brown is the author of five novels and a collection of short stories. 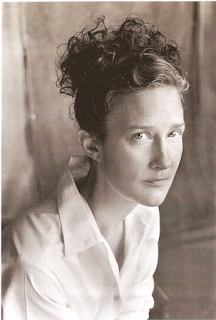 Her short fiction has appeared in such journals as One Story, Glimmer Train, The Georgia Review, and The Oxford American, and she regularly reviews fiction for major newspapers. Carrie is currently associate professor of English and Margaret Banister Writer-in-Residence at Sweet Briar College, where she teaches creative writing courses in fiction, poetry, and creative nonfiction. She is also VCCA's international programs coordinator. On January 19, the Riverviews Artspace in Lynchburg will feature readings by three VCCA Fellows currently in residence at Mt. San Angelo. Jessica Garratt'spoems have appeared in numerous journals and her first book of poems, Fire Pond, won the Agha Shahid Ali Prize in Poetry. She earned her PhD at the University of Missouri, and held a visiting teaching appointment at Wichita State University. While in residence at VCCA, she is working on her second book of poems. Nancy K. Barry teaches creative nonfiction at Luther College in Decorah, Iowa, and the University of Iowa's Summer Writing Festival. She is a playwright and her essays have appeared in numerous publications and on Iowa Public Radio. During her VCCA residency, she is working on an essay about one of the earliest social workers in America, Lillian Wald. 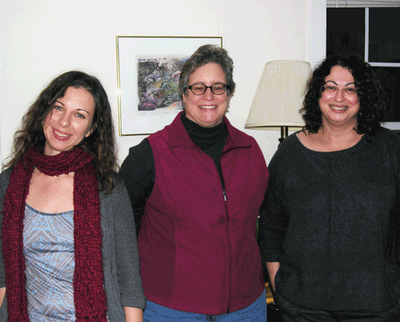 PHOTO LEFT TO RIGHT: Fellows Jacqueline Jones LaMon, Porochista Khakpour & Natasha Marin in 2009 at VCCA. Jacqueline and Natasha are Cave Canem poets. Photo by Karen Bell.